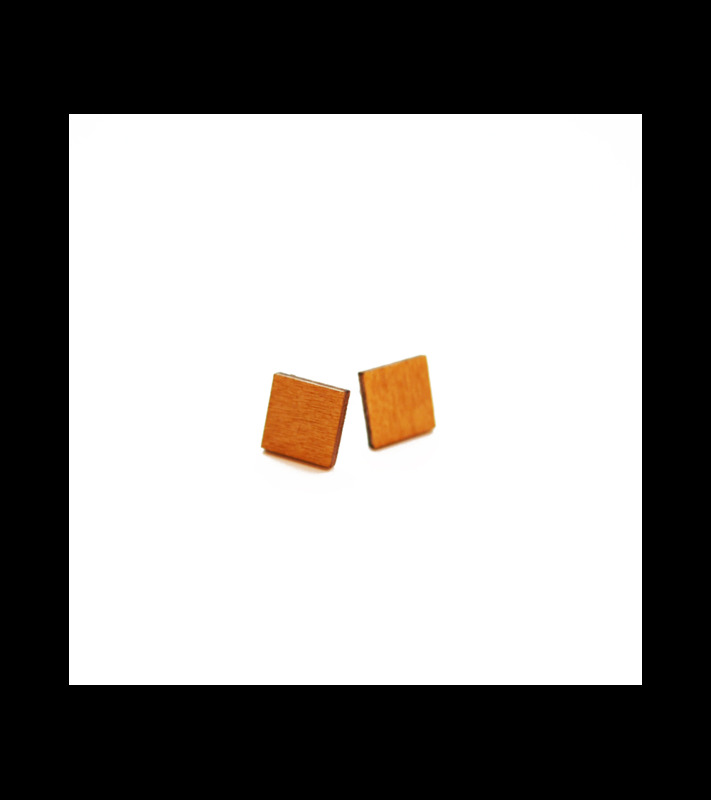 Our mini earrings are available in wood, mirror and plexiglass. They bring a touch of geometry to your ears. Here, in wood square.